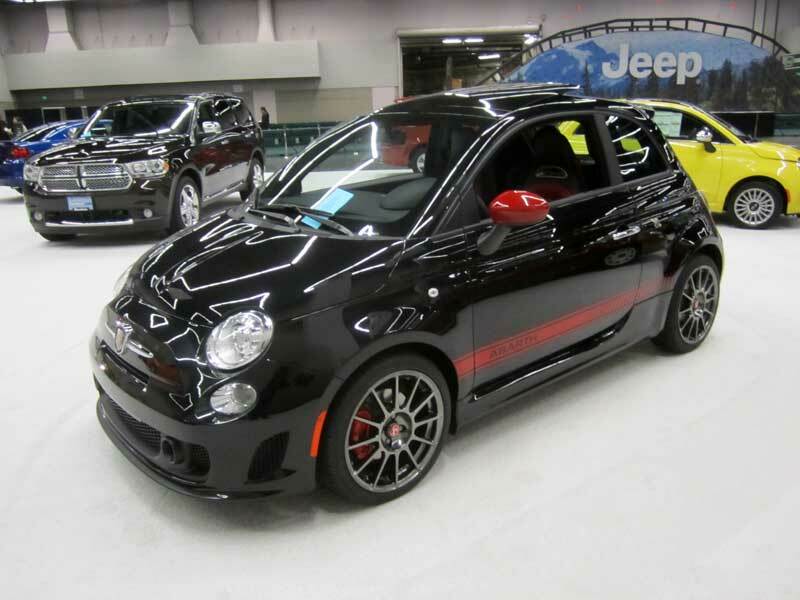 After much anticipation, it's here: The Fiat 500 Abarth. 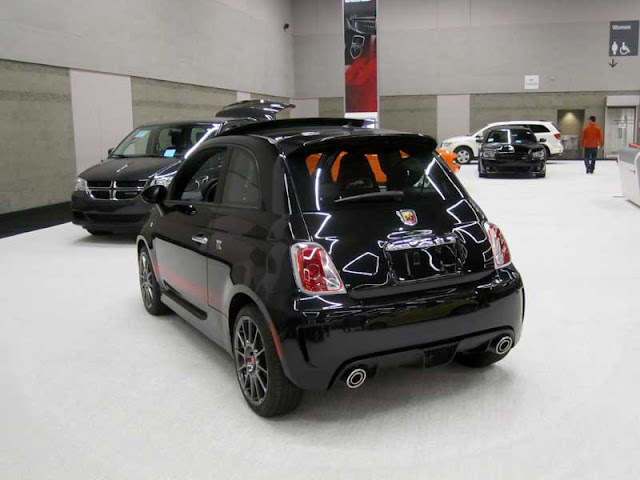 Like any hot hatch, it follows the classic formula: small size, and big power. In this case, it's 160 hp and 170 ft./lbs. of torque from the 1.4-liter turbocharged Multiair engine. Power is routed through a five-speed manual transmission. Hells yeah. 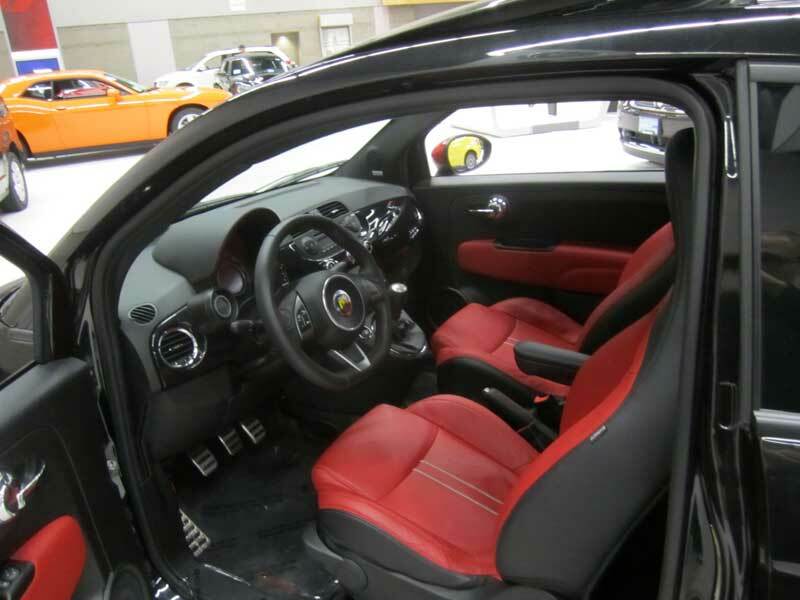 Other Abarth goodies include a revised sport suspension, 17" wheels with stickier tires, a unique interior with racing-style seats, and Abarth-only exterior treatments. This includes a dual-outlet exhaust, rear diffuser, and front lip. Of course there is also the distinctive Abarth "scorpion" badging and graphics. Chrysler/Fiat says 0-60 should be in the low seven-second range, and top speed is around 130-ish. And while there is no limited-slip differential, the car uses a special system that uses the brakes to shift power to the wheel that needs grip. There's little doubt that that this hot-hatch is going to be a hoot to drive. Pricing should be around $22,500. Looking forward to this one.